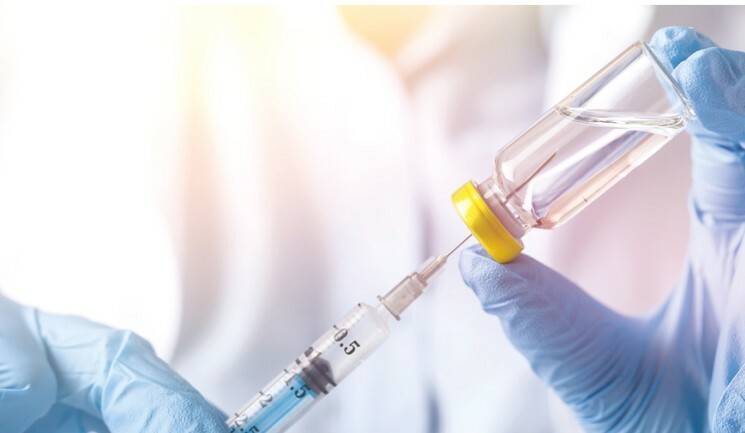 On February 1, the US Food and Drug Administration (FDA) gave clearance for another botulinum toxin – prabotulinumtoxinA (DWP-450) to be sold in the US as Jeuveau.1 This had been preceded by approval in Canada in August 2018.2 With the possible approval of more toxins in future, it may be prudent to consider the ‘new’ toxins and review developments in this field. One of the confusing issues is that the same toxin may appear with different names and be distributed by different companies with alliances with other companies. This article will summarise the current status of these developments, without going into the minutiae regarding the pharmacology of these drugs. The next toxin that will probably apply for FDA approval in 2020 will be from Revance Therapeutics, known as Daxi – daxibotulinumtoxinA (RT002).9 This was initially developed as a ‘topical toxin’, however after many years of research and investment this has been abandoned (see later for topical toxins). Revance, a US-based company, has developed this toxin to include a unique stabilising positively charged peptide (5Kd); the studies often quoted are the Belmont,10 SAKURA 1 and SAKURA 2.11 In summary, the data appears to indicate that 71-74% of the treated subjects had a response rate at 120 days.11 These results have been presented as evidence for a superior longevity of this particular toxin; however, the study compared 40 units of Daxi to 20 units of Botox. Other comparative trials of 120 units of abobotulinumtoxinA (Azzalure) and 40 units onabotulinumtoxinA (Botox) both showed similar responses to 40 units of Daxi. An interesting aspect of this is that 20 units of Botox has 0.17ng of botulinum toxin, whereas 40 units of Daxi has 0.18ng botulinum toxin.12 This difference in molecular content may be an indication of different molecular bioavailability and response between the two toxin formulations. We await further clarification on this new toxin. 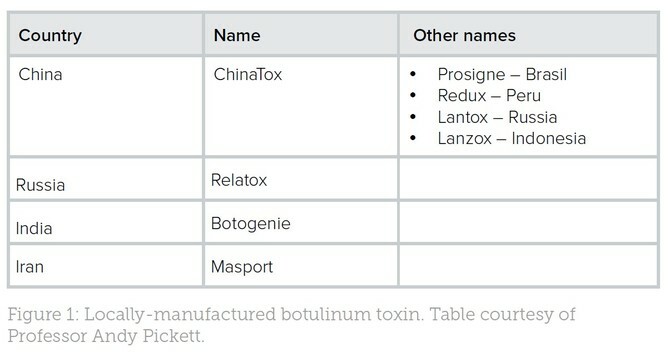 Another South Korean toxin that is expected to submit approval in the latter part of 2020 following the Phase III trials is letibotulinumtoxinA, currently available as Botulax.13 It is already approved in several Asian countries and is also marketed as Zentox.14 This toxin is produced by Hugel, and in Europe and the US it will be distributed by Croma.15 Studies on letibotulinumtoxinA are in progress and further information is awaited. There are several other toxins produced in countries to supply local medical needs, however these have not penetrated the wider aesthetic market (Figure 1). ChinaTox and Relatox appear to have gelatin as excipients, which have been reported to cause localised allergic reactions.16,17 Another South Korean toxin with a Phase III trial in progress is produced by Huons Global – called Hutox.18 It is already available in Asia and awaiting further public information. 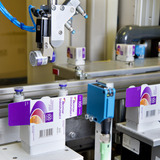 In an interesting strategic move in 2013, Allergan licensed the rights to Medytox’s toxin development programme, which granted Allergan exclusive rights, worldwide outside of Korea, to develop and, if approved, commercialise neurotoxin product candidates in development, including the liquid-injectable product.20 How this will be introduced into Europe and the US awaits to be seen. The first liquid injectable toxin, which consists of a liquid formulation as opposed to powder, was Myobloc (rimabotulinumtoxinB), which is generally used medically and is rarely used in the aesthetic arena.21 Innotox, mentioned above, was developed by Medytox and is commercially available in Asia. In September 2018 Allergan confirmed it would begin phase III clinical trials of the LIBT it licensed from Medytox, with hopes to get US marketing approval in 2022.22 Galderma has made an investment and built a factory to synthesise their own LIBT, currently known as QM114. A phase II trial was initiated in 2014 and further developments are awaited.23,24 How the medical aesthetic practitioner will view these formulations and what benefit they will confer to clinical practice awaits evaluation. Ease of use and not having to dissolve the toxin may be regarded as a time-saving benefit. 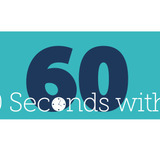 The term ‘topical toxin’ is actually a misnomer – the technology is dependent on a transdermal delivery system to allow a botulinum toxin molecule to be carried through the skin. Revance was the leading company trying to develop its system (RT001), however, after several years the company has now abandoned its work on a topical application and is concentrating on its own botulinum toxin A, as discussed previously. In 2016, Allergan announced that it acquired Anterios Inc., which was also developing a next generation delivery system and botulinum toxin. Through this acquisition Allergan acquired the potential development and commercialisation related to NDS, Anterios’ proprietary platform delivery technology that enables local, targeted delivery of neurotoxins through the skin without the need for injections. In addition to NDS, Allergan also acquired global rights to ANT-1207; an investigational botulinum toxin type A.25 A UK-based company, Malvern Cosmeceutics, and another US-based company, Transdermal Corp based in Birmingham, Michigan, have also not reported any progress beyond pre-clinical studies on their transdermal delivery systems at the time of publication.26,27 Although attractive to patients and practitioners, as this may negate the use of injection delivery, the technology and control of delivery is still not yet confirmed, despite years of development. Future developments in nano-technology may deliver this possibility, however it has not been achieved yet, according to public knowledge. Currently, botulinum toxin is derived from the fermentation of clostridium botulinum – a spore-producing bacterium. Following purification, the botulinum toxin subtype is derived in the laboratory. Using recombinant gene technology, researchers in Ipsen have now modified the genes in E. coli.28 This produces the single serotype A toxin through this process without contamination from the mixed toxin produced by the clostridium strains. Further details on how and when this product will be available are awaited. The clinical aesthetic use and acceptance of these short duration serotypes remains to be clarified. 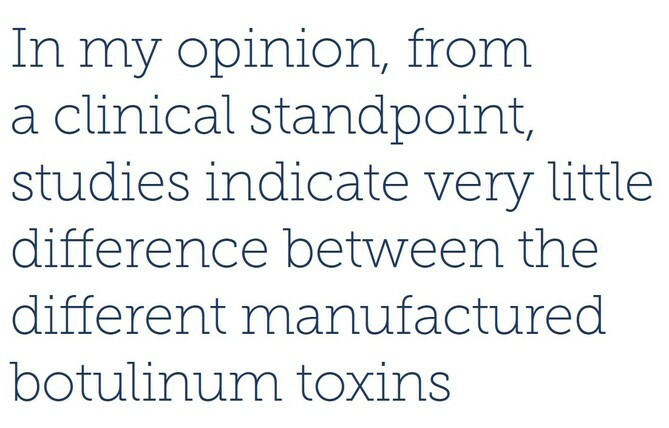 Currently, approved aesthetic use of botulinum toxins include upper facial lines (glabellar/forehead/crow’s feet), while other areas remain off-label. 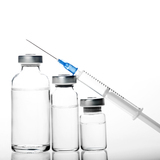 Phase II trials are ongoing on the use of Botox for the treatment of masseter hypertrophy and initial results were reported at a recent toxin conference in Copenhagen.33 Masseter volume and hypertrophy were significantly reduced at 90 days and maintained for six months after two treatments. Allergan is also conducting a phase II trial in the treatment of platysmal hypertonicity, which is ongoing with preliminary results expected this year.34 Studies on the established toxins are looking closely at the effects of dosage, dilution volumes and number of injection factors, as well as individual genetic variation in receptor activity. Outcomes of these studies will enable the practitioner to tailor the treatment to their patients. With these new developments, and the possible approval of other toxins, what will it mean to the clinician? In Asia, Medytox has plans to enter the Chinese market in the latter half of 2019 with its Neuronox product.37 According to Dr Patrick Huang, who has analysed and researched the worldwide toxin market, it has a low-price strategy to enter into active competition within the Chinese market. At a presentation on a review of the emerging toxins in Asia at IMCAS 2019, he suggested Nueronox would enter the Chinese market at a significantly reduced cost to that of Botox and BTXA (Chinese toxin).38 Would such a strategy have any effect on the market structure? According to Dr Huang, there will certainly be competition which, he explained at his IMCAS presentation, has already been evident in the Korean market.38 Whether potential lower prices attract clinicians to switch from their established toxins and if such cost savings will be passed on to the end user (the patient) remains to be seen. In my opinion, how the European and UK market will react to this strategy will lead to interesting and exciting times ahead for manufacturers, distributors, clinicians and patients alike. Acknowledgement: Many thanks to all my colleagues who have discussed different aspects of this update; in particular, Professor Andy Pickett, for constantly updating me, and Dr Patrick Huang, for sharing his data. 10. Carruthers J, Solish N, Humphrey S, et al., ‘Injectable DaxibotulinumtoxinA for the Treatment of Glabellar Lines’, Dermatologic Surg. 2017;43(11), pp.1321-1331. 11. Solish, Nowell MD; Bertucci, Vince MD; Humphrey, Shannon MD et al., ‘Two phase 3, randomized, double-blind, placebo-controlled, multicenter trials to evaluate the efficacy and safety of daxibotulinumtoxinA for injection to treat moderate to severe glabellar lines (SAKURA 1 and 2)’, Journal of the American Academy of Dermatology, 79(3) Supplement 1:AB306, September 2018. 16. Frevert J, Ahn KY, Park MY, Sunga O., ‘Comparison of botulinum neurotoxin type A formulations in Asia’, Clin Cosmet Investig Dermatol. (2018)11, pp.327-331. 28. Fonfria E, Maignel J, Lezmi S, et al., ‘The expanding therapeutic utility of botulinum neurotoxins’, Toxins (Basel). 2018; 10(5), pp.1-27. 29. Duff JT, Wright GG, Yarinsky A, ‘Activation of Clostridium botulinum type E toxin by trypsin, J Bacteriol, (1956), pp.455-460. 33. International Neurotoxin Association, TOXINS 2019: Basic Science and Clinical Aspects of Botulinum and Other Neurotoxins, 16-19 January, 2019, Copenhagen, Denmark. 35. Dover JS, Monheit G, Greener M, Pickett A., ‘Botulinum Toxin in Aesthetic Medicine: Myths and Realities’, Dermatol Surg. 2018;44(2), pp.249-260.